Sept 21. Welcome, to this week&apos;s newsletter. While we got a few interesting ideas on your "Best of Retirement Experiences", the rest of you seem to holding out. Please don&apos;t just be a lurker, your ideas are good and welcome! Many thanks to Jeanne, Jan, Kim, Frank, Kate, Rich, Linda, Stacey, and Tom forcontributing yours. Reading this but don&apos;t subscribe yourself? Here is where you can get your Free subscription. This is the place for those seeking the outdoors, views of Mount Hood, and get away from the urban bustle. Windsurfing on the river is world famous, and the town is interesting. There are many good reasons to retire in The Palmetto State: lower taxes and cost of living, climate, interesting places to live. 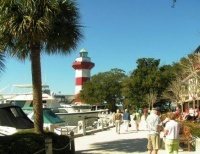 This article will give you a good introduction to our favorite South Carolina places to retire. Continuing with our SC places to retire theme, here is another great choice. This smaller scale, less hectic town is just south of Myrtle Beach. Choose from any number of interesting communities here.